UC Merced honored faculty members for their contributions during Faculty Convocation. UC Merced faculty members wear multiple hats as teachers, mentors, curriculum creators and researchers who seek innovative solutions to complex problems. During UC Merced’s recent Faculty Convocation, the university recognized faculty members for their contributions to the university. 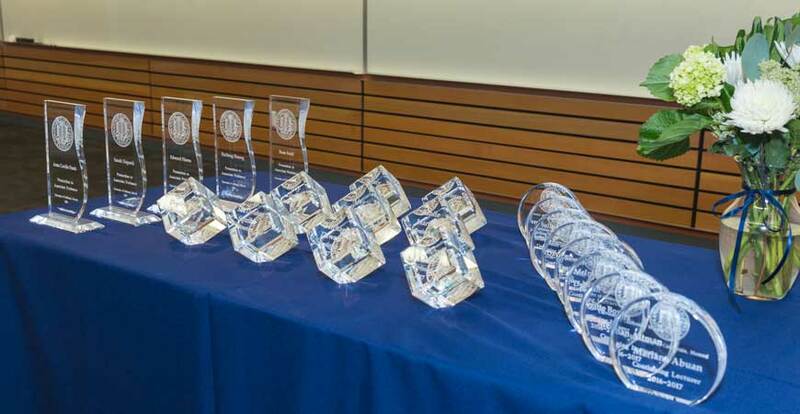 Chancellor Dorothy Leland and interim Provost and Executive Vice Chancellor Gregg Camfield presented honors to this year’s Academic Senate and Continuing Lecturer Award recipients on Aug 21. Faculty members who earned tenure, advancement or promotion during the past year were also recognized during the ceremony. In recognition of excellence in faculty mentorship.